Restaurateur Giuliano Lotto will open his first restaurant in London in seven years this month with the launch of Latteria in north London, offering Milanese inspired cuisine. The restaurant will join Lotto’s Marylebone-based restaurant Il Baretto, which opened in 2008. Lotto’s previous portfolio includes Banca, which closed in 2013, and La Petite Maison, both in Mayfair; Ken Lo’s Memories of China in Belgravia; Zafferano in Belgravia; and his role as managing director at A-Z Restaurants. Translating from Italian as ‘dairy,’ Latteria is set to open on Islington’s Essex Road, on the site formerly occupied by Tuscan deli Food Lab. 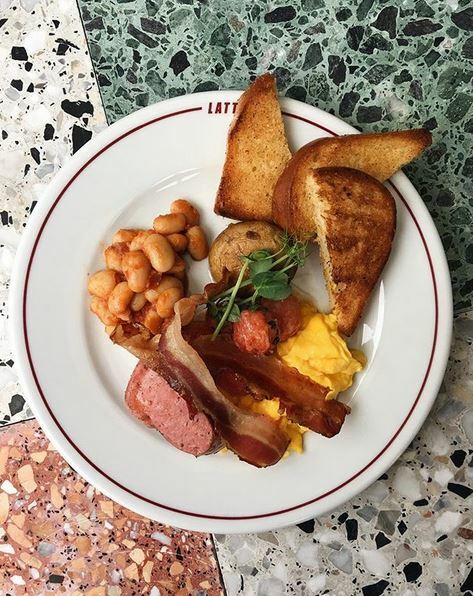 With the full menu yet to be unveiled, dishes will include the Italian version of the fry-up, with white beans, scrambled egg, fried brioche and Tuscan bacon; alongside eggs Benedict, hand-rolled pasta and citrus salads. The interior will feature colourful terrazzo tile table-tops and promises to offer a nod to early twentieth-century glamour. Latteria opens on 29 March.